This Light Box Provides An Even Spread Of Light From Edge To Edge And Emits Very Low Heat. Ideal For Tracing, Sketching, Stenciling, Calligraphy, Scrapbooking, Embossing, Embroidery, Applique (Fat Quarter Size) And Much More. 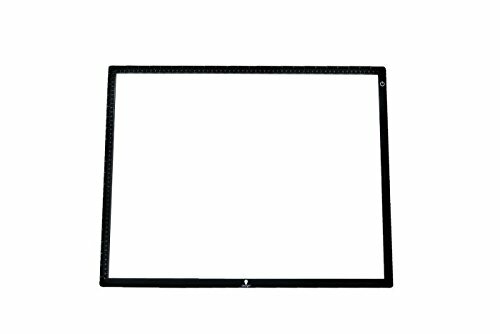 This Package Contains One 18X23.5 Inch Light Box With A Continuous Dimmer Switch. Imported. If you have any questions about this product by Daylight, contact us by completing and submitting the form below. If you are looking for a specif part number, please include it with your message.